The Proteas Women won the toss and elected to field first. Dane van Niekerk rotated her bowlers to perfection as the Sri Lanka Women were skittled for 105. Luus, who came back into the side after missing the first T20I, starred with 5-14 which saw her pick up the Player of the Match award. Her performance, however, was enhanced by her teammates. Marizanne Kapp was exquisite for her 3-17. Kapp got her side on the front foot and took a wicket in each of her opening two overs to set Sri Lanka back at 2-8. Tumi Sekhukhune not only took a wicket to dismiss the visiting captain Atapattu Jayangani (whose score of 20 dragged Sri Lanka to 39-2) but her performance in the field was superb. Sekhukhune took an amazing catch at long on with a wonderful length-dive dismissal for Luus’ third wicket. She then put the Sri Lankans eight down for 102 at the start of the 19th over with an athletic throw to run out Oshadi Ranasinghe for one. Sri Lanka did show fight through Shashikala Siriwardene (38) before she was bamboozled by Luus and stumped by Faye Tunnicliffe. The Proteas Women almost fluffed their run chase. 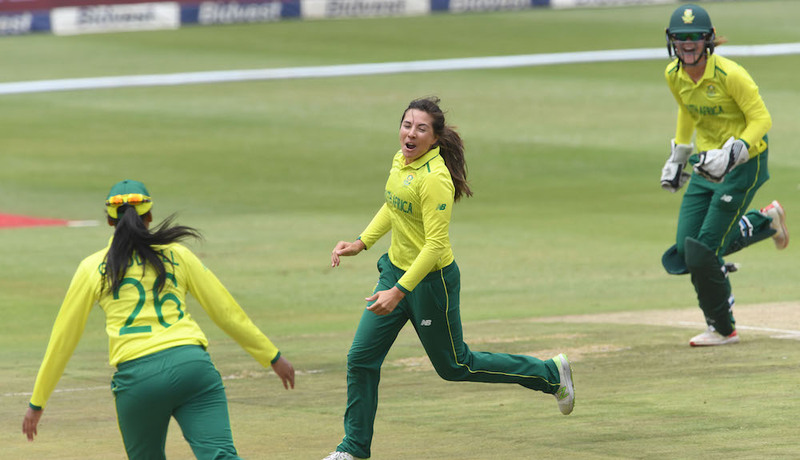 Van Niekerk got the hosts off to a good start by scoring a 19-ball 33 (four fours and a six) before she was caught and bowled by Achini Kulasuriya. Sri Lanka continued to add pressure to the South African batters. They were reduced to 57-4 as Sri Lanka’s spinners, Shashikala Siriwardene (2-12) and Inoka Ranaweera 2-14), took four wickets between them. Lara Goodall’s 22-ball 17 took the Proteas closer to victory, but she lost her wicket in the 14th over with the Proteas needing 30 off 37 deliveries. Wickets continued to tumble as the Proteas were reduced to 97-8 to set up a tight finish to the contest. With three runs needed off two balls, Nadine de Klerk (15 not out) beat the infield and the ball raced to the boundary after a slip from the fielder. 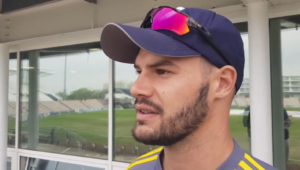 This saw the Proteas clinch a two-wicket victory to take them into an unassailable 2-0 lead.